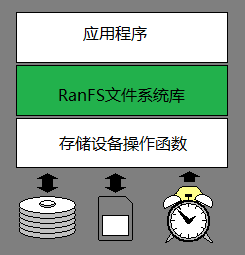 RFS Universal Embedded File System. Written in ANSI C (C89). The upper layer provides POSIX-compatible function interfaces. The lower layer requires the user to provide disk IO operation functions and time acquisition functions. It can run on any platform. And it can run on few resources. MCU environment, such as 8051, PIC, AVR, ARM, Z80, 78K and so on.